ONCE A WEEK WE WILL OFFER A BIKE AT A DISCOUNTED PRICE. THE OFFER WILL BE GOOD UNTIL SOLD OR THE NEXT WHEELS OF THE WEEK OFFER, WHICHEVER COMES FIRST. 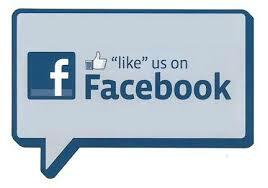 LIKE US ON FACEBOOK TO GET YOUR WHEELS OF THE WEEK OFFERS AUTOMATICALLY!! ENJOY THE DEALS!!! 1999 HD ROAD KING, BURGUNDY/GRAY, 31K MILES, 88" MOTOR, FUEL INJECTED, 5 SPEED TRANSMISSION, BAD A** CUSTOM PAINT JOB, SLIP ON PIPES, GOOD DUNLOP TIRES, NICE APES, CHROME FRONT END, CHROME WHEELS, CHROME CONTROLS AND LOTS OF EXTRA ENGINE CHROME. SWEET ROAD KING! !